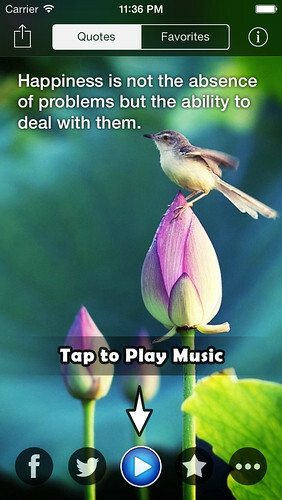 A must-have Buddha quote app for every Buddhist! Or ones who are seeking for a better spiritual life. Buddha Quotes will give you a stronger and happier spirit every day and night. You will find peace and happiness in every quote, which will make your life quality better day by day. Buddha’s wisdoms will surely inspire you & provide essential boost to your soul. ● Quotes on enlightenment and inspiration from the Buddha and others. ● 28 great peaceful Buddhism songs with a nice music player. ● Beautiful and peaceful hand-picked background pictures.